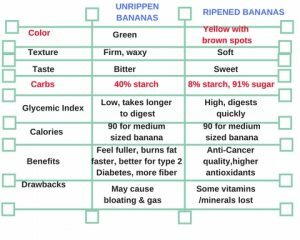 Home / Blog / Ripe vs. Unripe Bananas: which are better for you? As a personal trainer and nutrition coach at Energy Fitness I am often amazed when during a nutrition consult or just general conversation with clients that he/she discover that spotty bananas may actually be harming their weight loss goals. Bananas are among the most widely consumed fruits on the planet and, according to the U.S. Department of Agriculture, Americans’ favorite fresh fruit. Which bananas do you prefer pictured below? Now ask yourself this question…Which one is best for me based on my weight loss goals and hunger cues? This blog post aims to educate & empower you (part of our mission) about the ins and outs of bananas. As I do this post I am reminded of my late father and the 15 years he worked for Safeway Grocery during my childhood doing produce, mostly in charge of bananas. When I was about 8 years old I remember my older sister and I would have to go on the weekends to the cold warehouse for him to check on the green bananas at their various ripening stages, and adjust room temperature & humidity as needed. Did you know that if you bake or microwave a very green banana (with the skin on) that it tastes like a baked potato and you can also make green banana fries? Have you eaten banana peels ? They are not poisonous and have nutrients such as B6 & B12, potassium, fiber and protein which other countries have known for years. Banana peels also have various bioactive compounds like polyphenols, carotenoids and others. Consuming the skin either raw in a blender combined with a smoothie, baked or fried in healthy oil can be helpful in overcoming depression “due to high levels of tryptophan (the same chemical in turkey that causes sleepiness), which the body converts to serotonin, the mood-elevating brain neurotransmitter.” The skin also contains magnesium aiding in good sleep and relaxed muscles. It is important to carefully wash a banana peel before eating it due to the pesticides that may be sprayed in banana groves. What is a Banana serving size? This is the first step in consuming bananas responsibility. I tell our clients and friends that a serving of banana is about 4 inches or about 3/4 of a medium 6 inch banana. That means that those HUGE bananas that are 12 inches long are 2 plus servings. Look at the chart below specifically at the carbs as well as the rest of this post to determine how often, how ripe and how much to include as part of your meal planning. As you can see above a ripe banana has significantly more sugar than an unripe banana. Unripe bananas have pro-biotic bacteria, a friendly bacterium that helps with good colon health. In addition, green bananas also help you absorb nutrients better, particularly calcium. Ripe bananas have a higher glycemic index of ripe bananas shows that they are digested quickly which may cause you to be hungrier faster. Studies show that there is SOME MICRONUTRIENT LOSS that happens as a banana ripens. To lessen the amount of vitamins and minerals lost, it’s better to store and ripe bananas in the refrigerator. I store the bananas in the fridge when I want them to slow the ripening process although I’m not sure how much it actually helps. I use overripe bananas for desserts. The Bottom Line: There are benefits on both sides. You could eat unripened bananas or ripened bananas and get the benefits of either one. 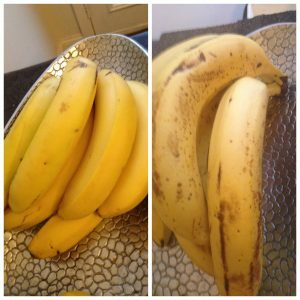 The only difference is that for Type 2 Diabetics and anyone trying to avoid excess sugar you may want to eat less bananas and stay away from spotted ones. Not a client? Want to learn more about nutrition or fitness? 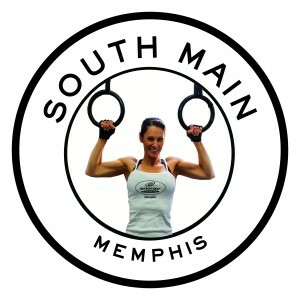 Call Energy Fitness at 901-466-6242 or click here to request for a FREE Consult (value $87). Tonya Tittle, M.S., ACSM, Metagenics FLT L.C.